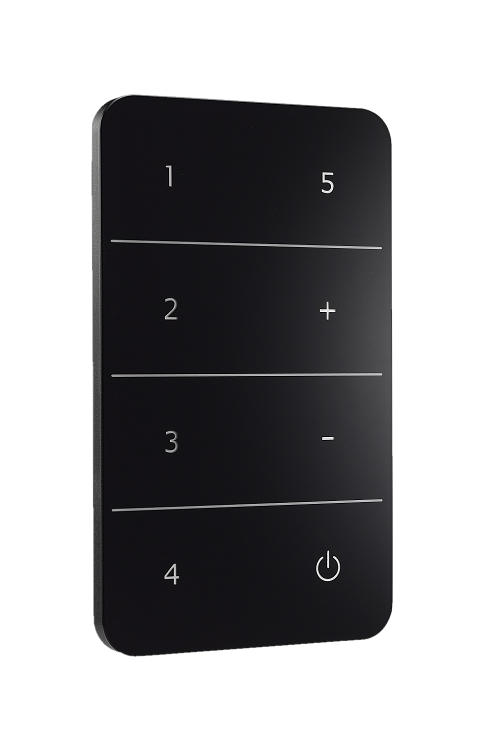 The DMD-160AT is a touch panel design controller which offers DALI scene control, on/off and dimming functions. In addition, it is powered by DALI BUS with the consumption of 25mA. The DMD-160AT has built-in LED locator light, so that the user can turn on the light under the dark environment. The DMD-160AT is able to recall 5 different scenes and dim the fixtures under the broadcast mode. Furthermore, when a user presses the on/off button, it will recall the first scene during status that all lights are off. It will turn off all lights while pressing it under the “light-on” status. Scene control for in a DALI BUS system. Suitable for single area lighting control. *DMD-160AT is also able to have customized-modification to add dip switch for recalling group scenes.